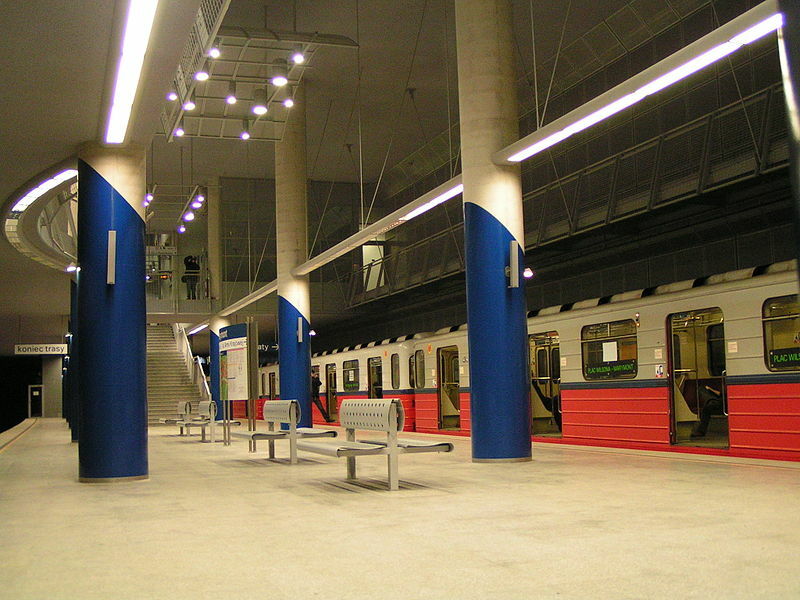 The system after the opening of metro line M2 and various changes in the tram network. Suburban tramway: ca. 38 km. City trams: (horse-drawn:) 11 Dec. 1866 - ? ; (electric:) 26 March 1908 - today. Suburban trams (electric): 11 Dec. 1927 - today. Metro: 7 Apr. 1995 - today. City trams: (1866 - 1944): 1525 mm. ; (1945 - 1948): mixed (1435 mm. and 1525 mm. ); (1948 - today): 1435 mm. 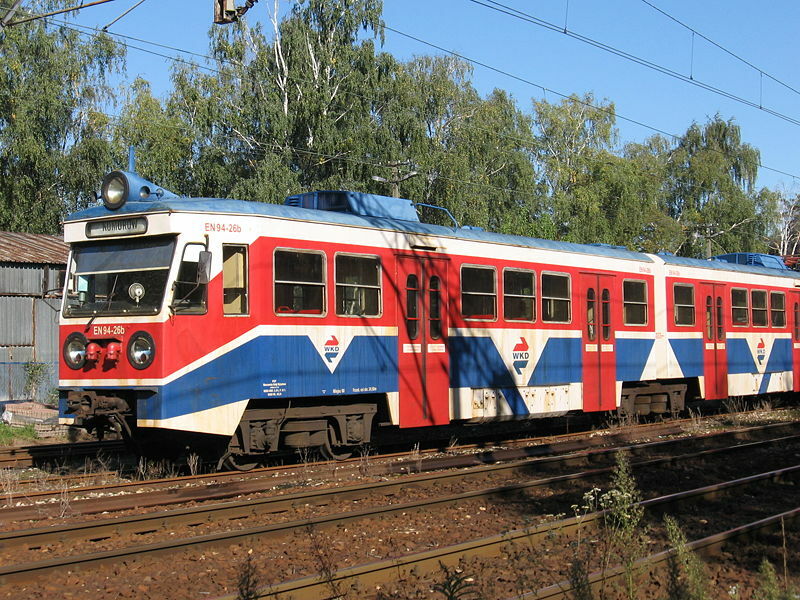 Some older trams are kept to serve as heritage trams on special occasions. Lehnhart, H. & Jeanmaire, C. Strassenbahnen in Osteuropa - Deutsche Demokratische Republik; Volksrepublik Polen. Villigen (Switzerland): Verlag Eisenbahn, 1975. Lubka, A. 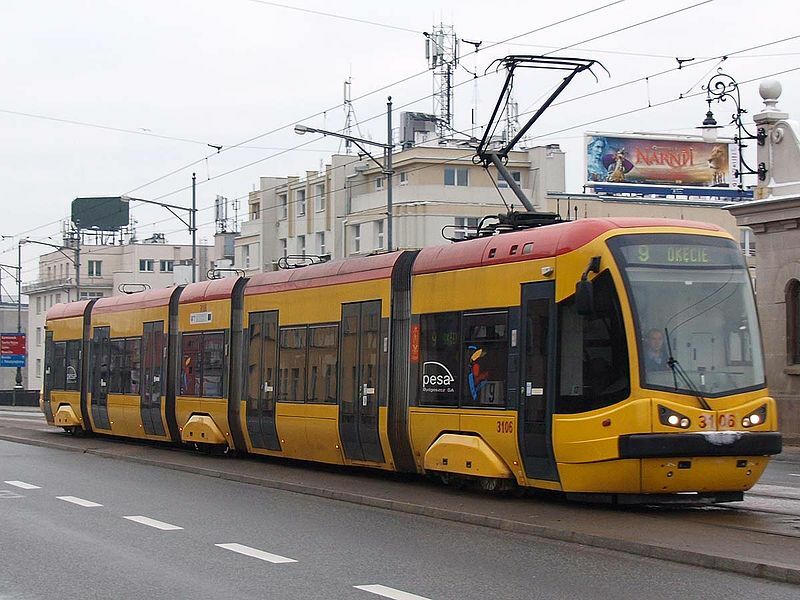 & Stiasny M. Atlas tramwajów. Poznań: Poznański Klub Modelarzy Kolejowych, 2004. Price, J.H. 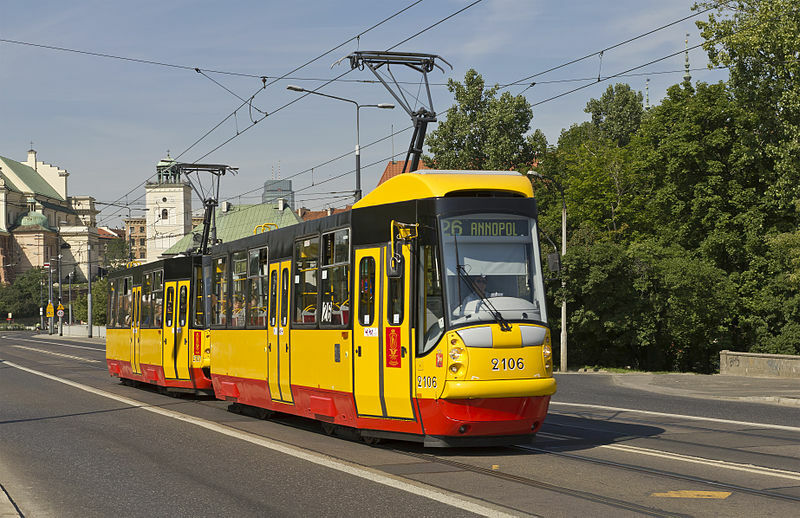 "Transport in Warsaw", The Modern Tramway. March 1958 (21: 243), p.61-64. 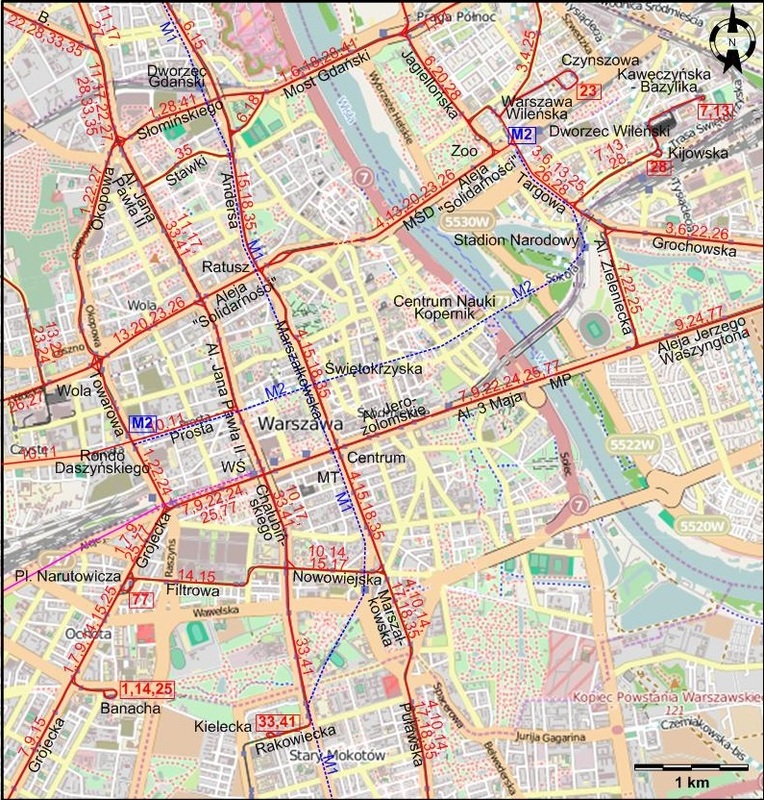 Urbanowicz, W. "Warsaw: Joining the European metro league", Tramways & Urban Transit. Aug. 2012 (75: 896), p.307-312. 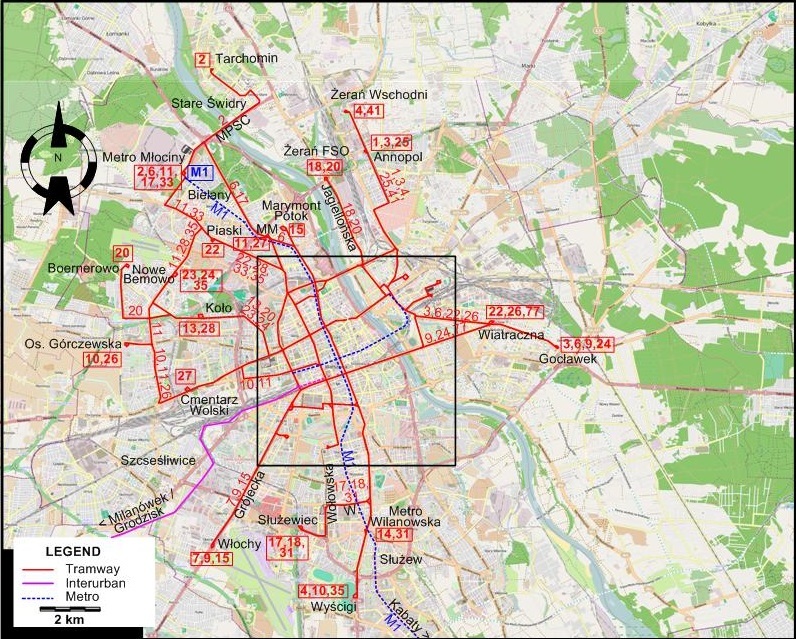 Urbanowicz, W. "Warsaw: Transforming the transport landscape", Tramways & Urban Transit. July 2015 (78: 931), p.266-271. Also, thanks to Grzegorz Madrjas (from Warsaw, Poland) and Silviu-Costin Iancu (from Bucharest, Romania) for information obtained through personal communication.